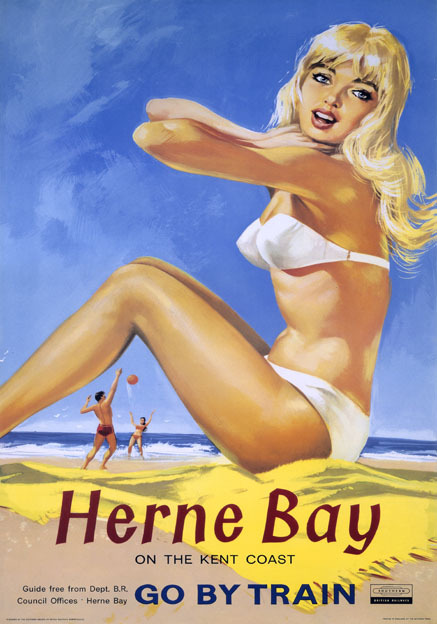 Travel poster produced in 1961 for British Railways (BR) to promote rail services to Herne Bay on the Kent coast. 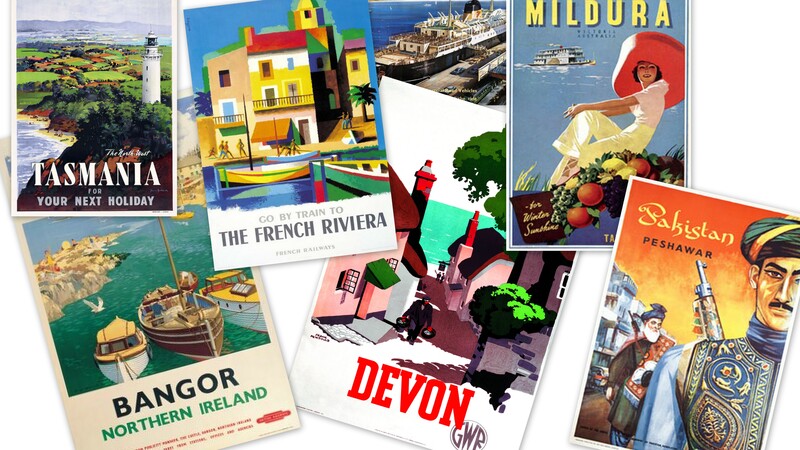 The poster shows an illustration of a young blonde woman in a white bikini sitting on a towel on the beach set against a clear blue summer sky. Others are playing ball in the background. Artist is unknown.